Tree trimming Minneapolis Minnesota is an important aspect in caring for arboriculture. Having A Tree Service, a professional tree trimming company assist your property can benefit your surrounding timbers. There are many reasons that benefit from trimming the trees on your property and utilizing a company that has been around for 5 decades. A Tree Service is here to provide top notch service for you and your trees. We care about your arboriculture and it shows in every job we perform. Give us a call today to speak with a professional Minneapolis tree trimmer! Our Minneapolis Minnesota professional tree trimming company is here to help. We have top of the line equipment that provides us to achieve the unachievable. Our expert staff has the knowledge and experience to perform any tree trimming need on site. 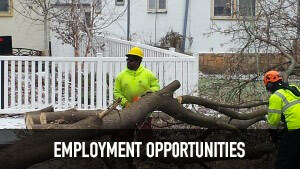 Having a tree trimming company in Minneapolis that is fluent in the arboriculture field can only benefit you. We are licensed, insured, and have had 50 years of experience. Don’t waste your money finding online handy mans, it just costs more in the end when something goes wrong. When you need the best local tree trimming company to take down some limbs, you know who to call! A Tree Service, we can handle anything! Tree Trimming Minneapolis MN is very important. We already have low amounts of oxygen makers. Saving the remaining trees, we have in the area is a must! Our Minneapolis professional tree trimming company can do it all. If you have a hazardous tree with dead limbs, we can take them out. If there is a powerline that is getting knocked by branches, we can safely remove them. If you are looking to prune your trees for better growth, we can assist. Taking care of your arboriculture is high on the home owner list. It can be tough, that is where A Tree Service comes in. Give us a call today! This entry was posted in Tree Trimming MN and tagged local tree trimming company, Tree Trimmers MN, Tree Trimming, Tree Trimming Company Minneapolis. Bookmark the permalink.